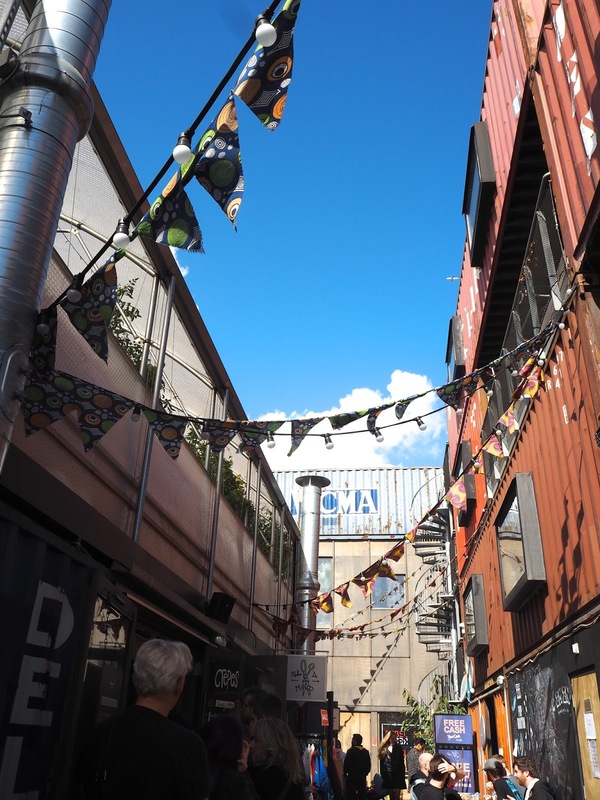 Last Sunday, Myself, my Mum and some family friends took a trip up to Brixton to see my brothers 'We Can Be Heroes' installation at Pop Brixton as part of the Brixton Design Trail. My brother created his own project this year, 12x16. Each month he has taken a topic or subject and explored in in every way possible. 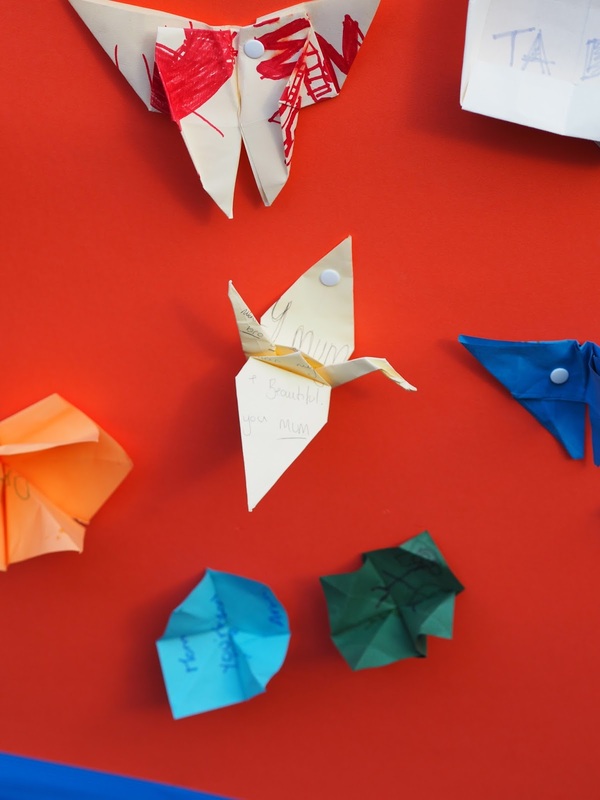 Origami - He folded butterflies and cranes in January. Flying - He quite literally flew in February. Drawing - He tested his skills with a pencil and paper in March. Food - He cooked, fasted and helped at food banks in April. Get Physical - He pushed himself to his limits on runs, outdoor swims and bike rides in May. Colour - He drew inside (and outside) the lines of colour in June. EU - He showed solidarity with our European neighbours in July. Animation - He learnt the ways of stop motion (Morph style) in August. 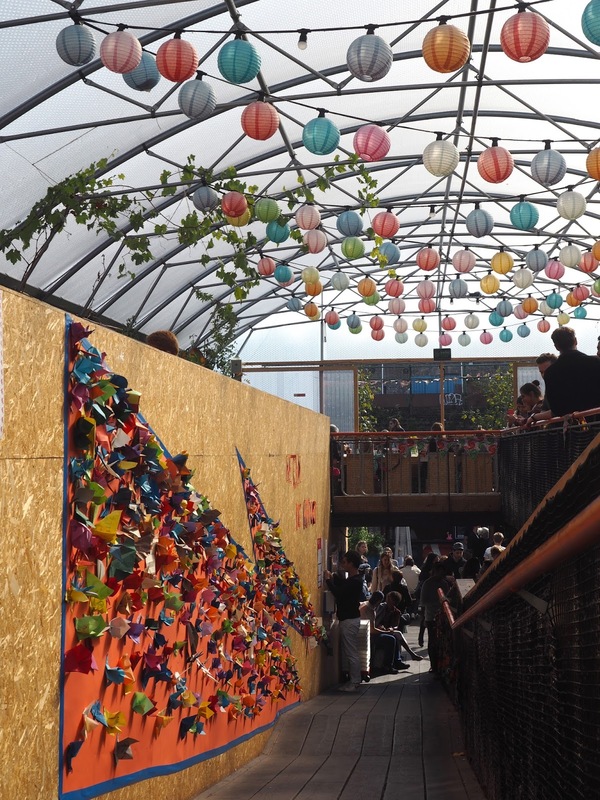 We Can Be Heroes - He created a huge interactive origami installation as part of the Brixton Design Trail in September. 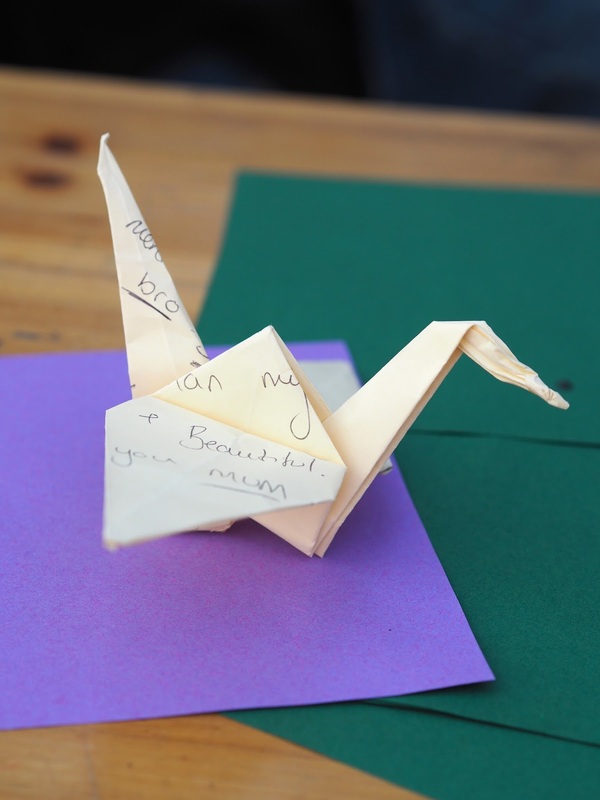 The night before Bowie died, Sam was in his bedroom in Brixton folding paper cranes and butterflies as part of his January 12x16 project. When he went to work the next morning and people had started to hear the news, the Bowie mural in Brixton was flooded with floral and written tributes to their hero. Sam combined these two things to come up with the idea for his installation, We Can Be Heroes. 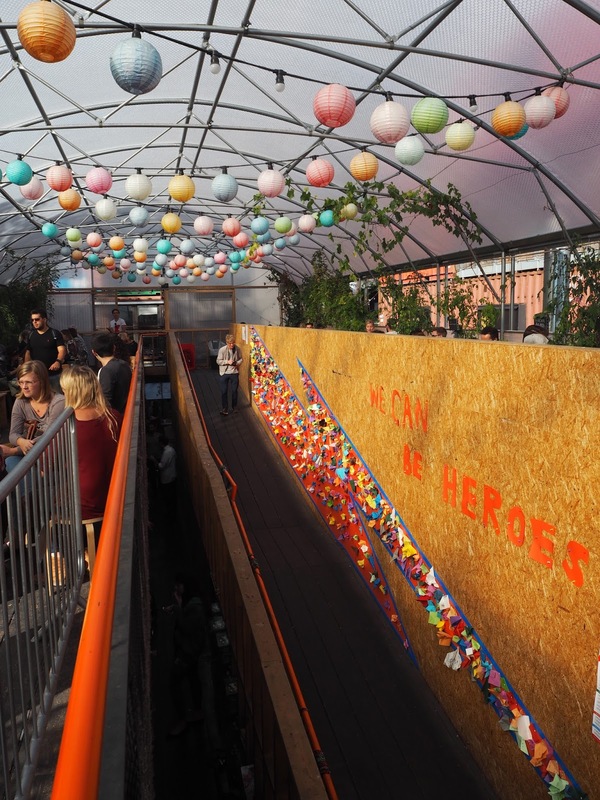 Wanting to embrace the idea of everyday heroes, he invited anyone and everyone to write a message to a hero in their life, to fold it up into origami and to place it on the lightning bolt frame which struck straight through the centre of Pop Brixton. Sam was given this huge blank wall, no budget and had just the, what seemed like, crazy idea in his head. With the help of his Origami Army the Bowie inspired strike was put on the wall, origami paper was ready to be folded, pens and pins were sitting waiting to be used and butterflies, cranes and flowers started to fill the wall. I'm incredibly proud of my bro. 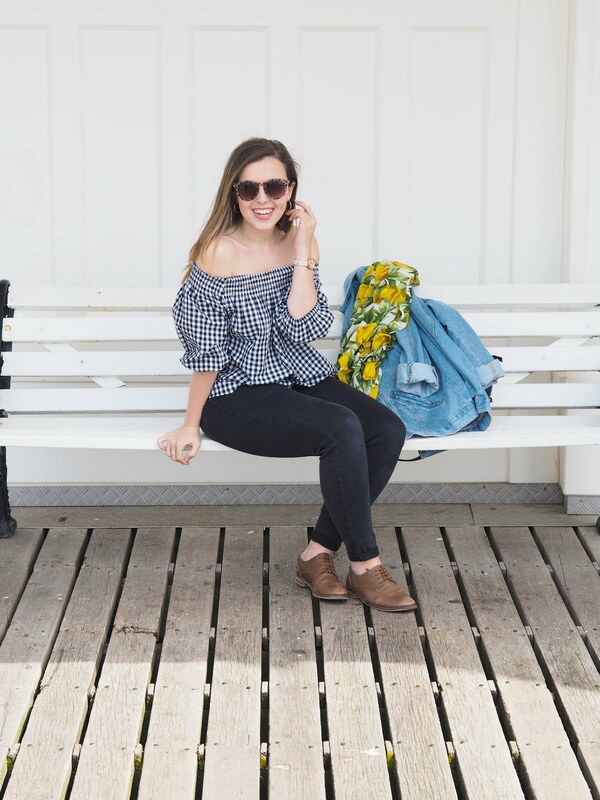 Without the individuals who put their origami on the wall there would be no art, but without Sam there'd of been no art to create. He made this whole thing happen and for that I think he's pretty amazing. 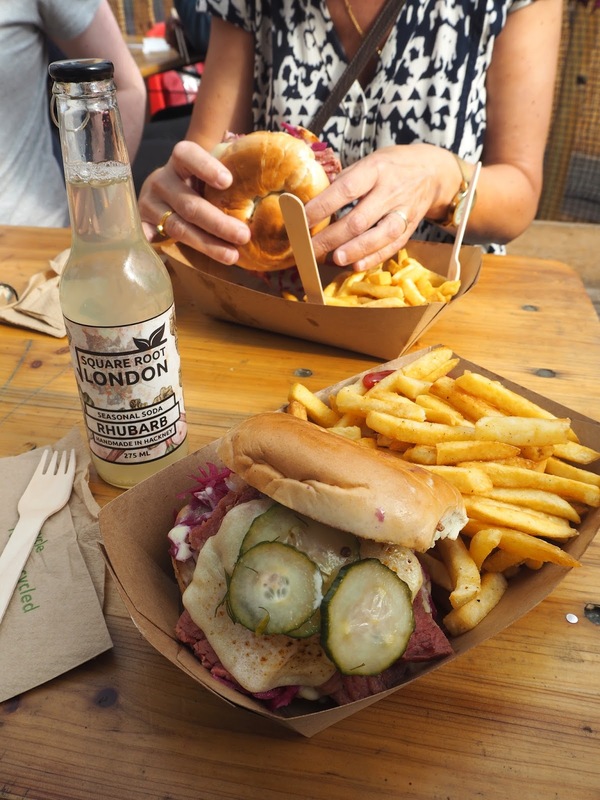 This post has been a rather wordy one already, so I'll leave you with some photos from our Sunday spent at Pop Brixton & a special vlog at the end too!